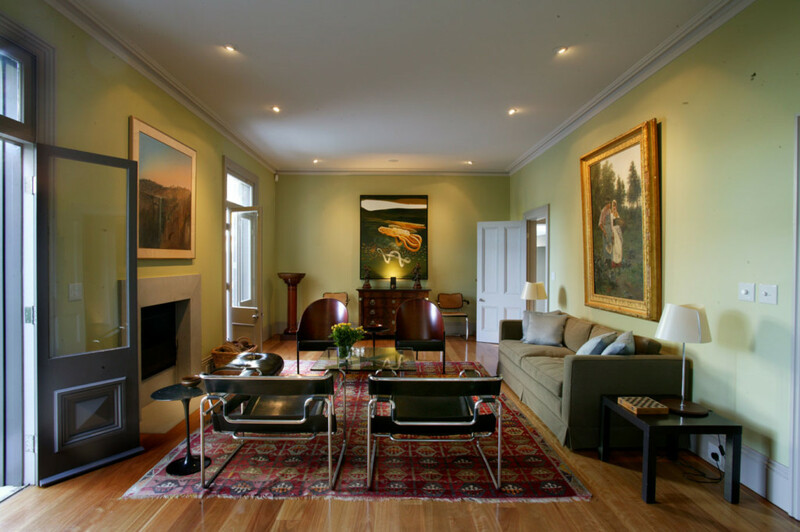 As always, the interior detailing of a house should complement the architectural style of a house. When we are developing the design for our houses, we are also thinking about how this is reflected internally and what junction detailing to use. 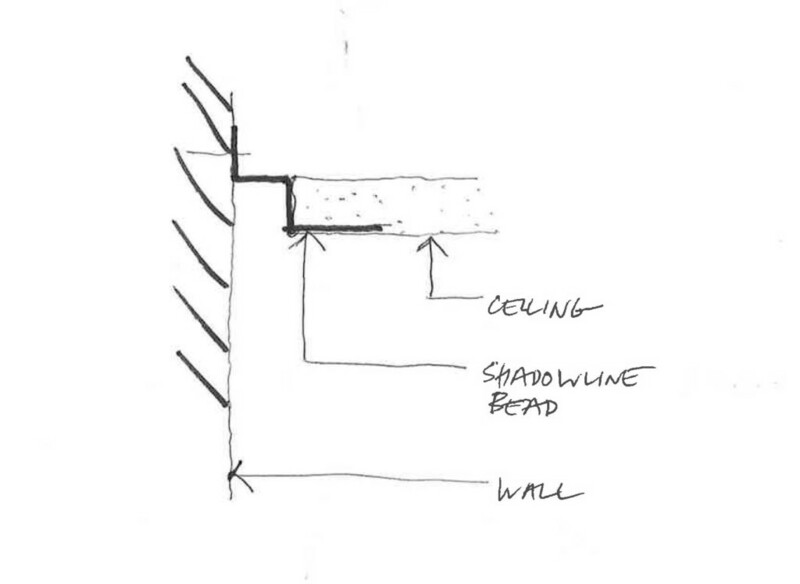 Generally there are three options to use at the ceiling wall junction: shadowlines, square-set junctions and cornices. In our new houses we lean towards the clean lines that a shadowline junction gives between the ceiling and walls and also at other junctions such as at door frames, joinery pieces and at the floor. A shadowline junction is a 10 x 10mm recess either in the ceiling or wall made using a specific metal angle – see below detail. They do require installation expertise but the outcome is worth it. The wall and ceiling sheets need to be cut correctly and neatly as there will be no material to cover rough edges. Wall and ceiling sheets are installed first then a shadow line “stopping angle” is lodge and nailed into place. The corner then needs to be plastered where the angle meets the plasterboard on the ceiling and wall. It is then sanded to a ‘high level’ finish ready for painting. A square set joint means exactly as it sounds – a clean 90 degree angle finish. This may be used for example when you don’t want to draw too much attention to that area or if the materials to be joined are the same. It is also very cost effective. 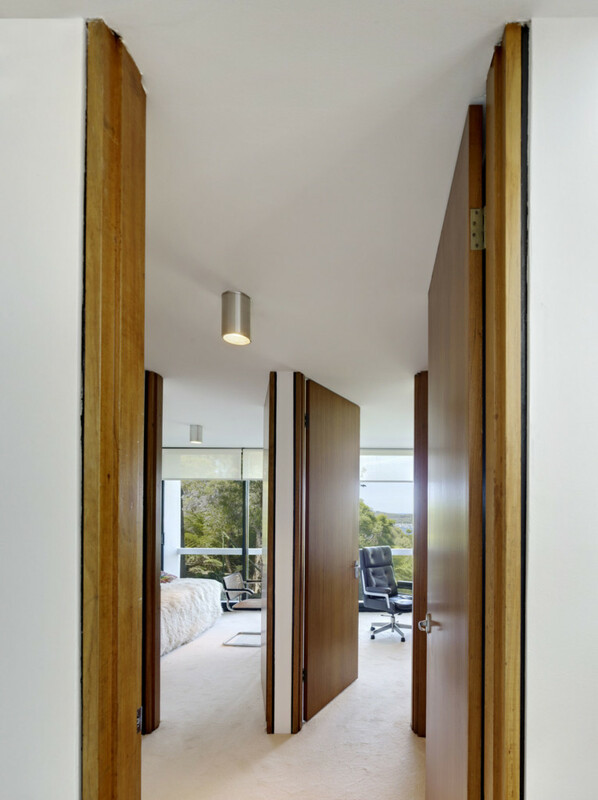 At our Castlecrag house, designed in 1972, shadowline details at that time were not typically used but as the architecture was compact and streamlined it seemed fitting. We used shadowline detailing at door frames and square-set junctions at the ceiling/wall. Now the interiors look as though they were designed today not 40+ years ago. 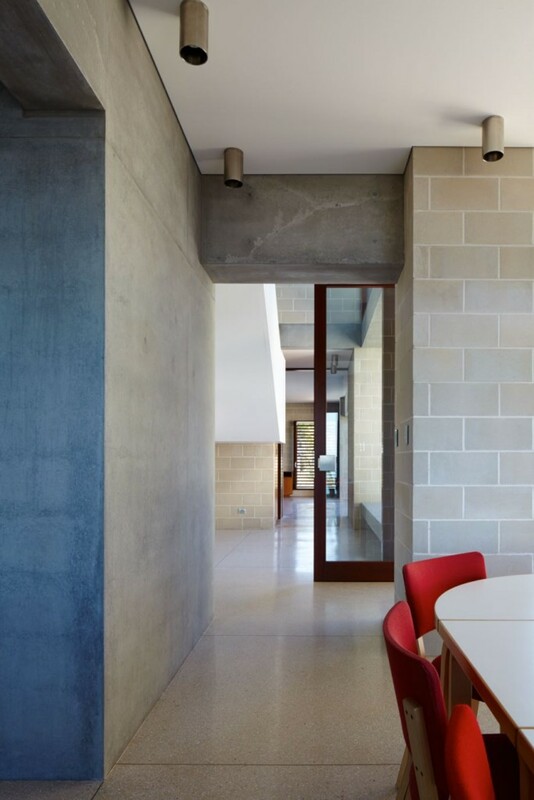 We used shadowline detailing in our Block House where we have concrete block walls throughout so a shadowline detail at the ceiling allows the two materials to join respectfully. Cornices, as we all know, are generally a decorative plaster that has been used for many centuries and are a good way to hide inconsistencies at the wall/ceiling joints. Depending on the level of detail in the mould, some cornices can be quite inexpensive and easy to install. When working on alterations and additions with heritage value such as at our Woollahra House, we used both shadowline and cornice details – shadowlines for the new additions and cornices in the existing heritage listed Victorian gothic cottage. 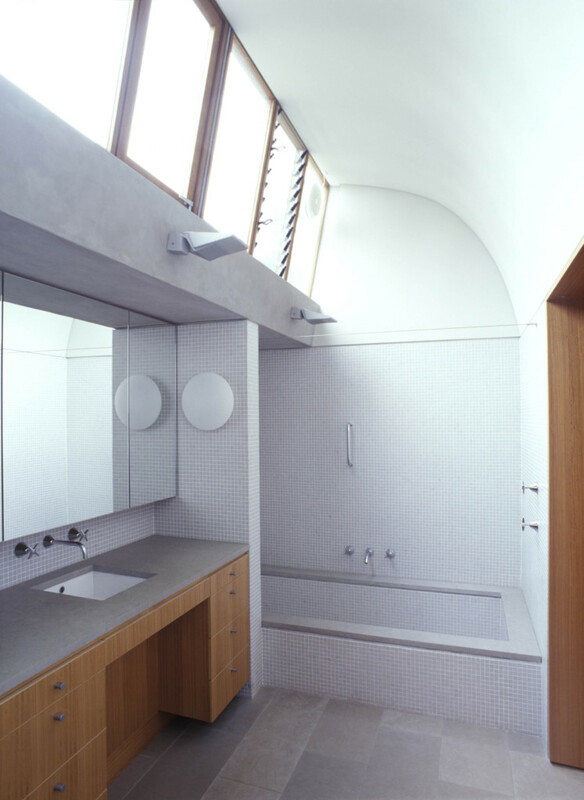 The shadowlines were particularly useful where we designed curved ceilings in the bathroom, allowing the ceiling to ‘breathe’ while against the mosaic tiled wall.